Yummy! 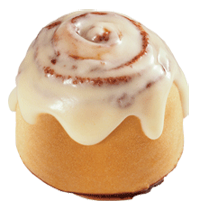 Join the Club Cinnabon to get a FREE Minibon Cinnamon Roll at participating Cinnabon Stores! Plus when you sign up you will also receive REE MochaLatte Chill on your Birthday! Click here to find a Cinnabon Store near you.